This fall, one of my tutoring students taught me a lesson about how cheating on these essays can backfire–even if you don’t get caught. He wanted to write his essay for the Common App on a trip he took to Guatamala to work with poor children. At one point, he confessed that he had not gone on that trip, but that his father had gone. Upon his insistence, we pressed on with this essay of the trip that didn’t happen, and as a result, the story was cliche and dull. It was only a description of what happened, and revealed nothing about the writer (How could it have?) The student is actually a great person, super bright, friendly, which made his complete lack of integrity on this issue all the more disappointing. The worst thing is I really don’t think he thought he was doing anything wrong. And I couldn’t help think about his father, who most likely put him up to this or knew about it, and how he should know better. Sad, scary stuff, if you ask me. These things come around, though, as they say. By using a topic that was not authentic, the essay felt flat and dull. Not to mention writing about a do-gooder trip to a foreign country is cliche and on most admission experts’ topic no-no lists. If this lie is going to hurt anyone, it’s going to be that student. I wonder if his father ever thought about it that way. I will stop preaching and moralizing, but my point is that there is a reason to stay true to yourself on all levels with these essays. Like with most cheating and lying, you might feel like you get ahead of the game, but you really will only lose in the end. 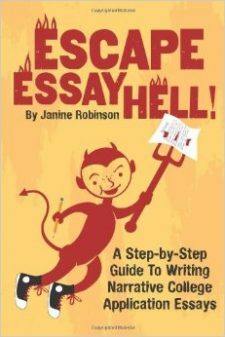 The way is to simply start to write your own essay! Try How to Write A College App Essay in 3 Steps and see for yourself how easy it can be!